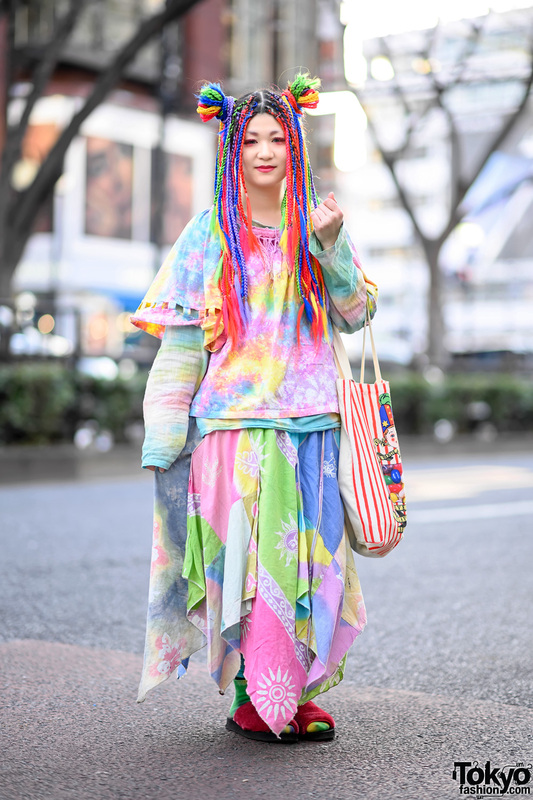 We came across Jin, a 19-year-old student with a casual-cool take on streetwear. 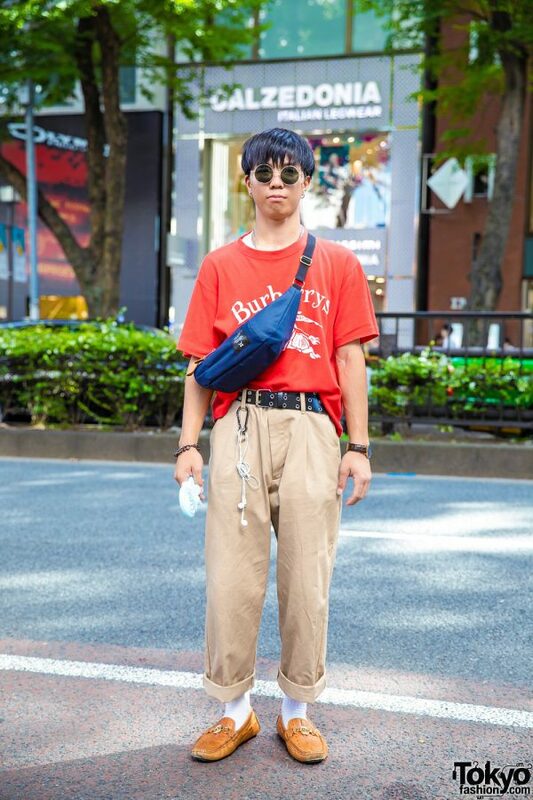 He stepped out in Harajuku with a Burberry red T-shirt and WEGO tan pants styled with a black leather grommet belt. 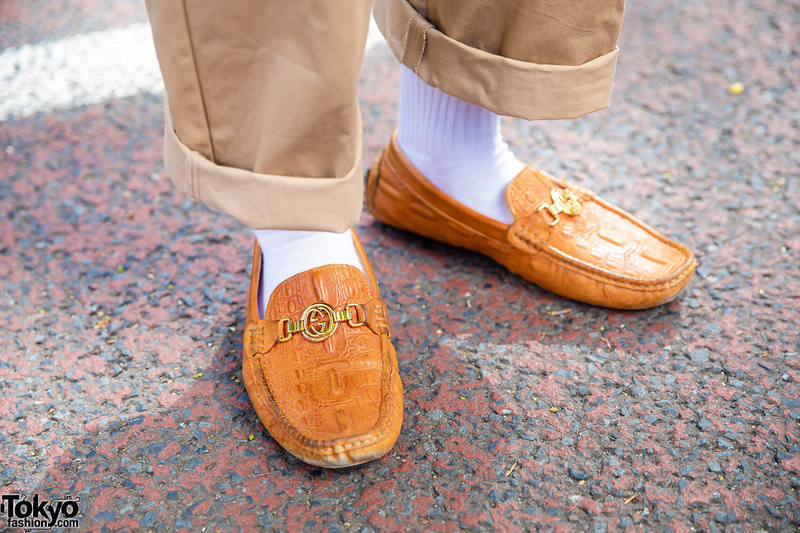 Jin rolled up the cuffs of his pants and wore white socks with brown leather loafers from Gucci. 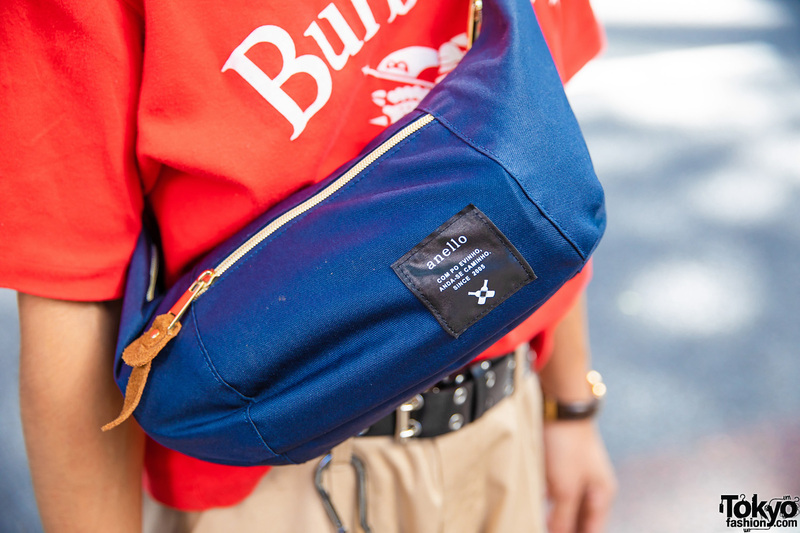 Strapped across his chest is a dark blue crossbody bag from Anello. 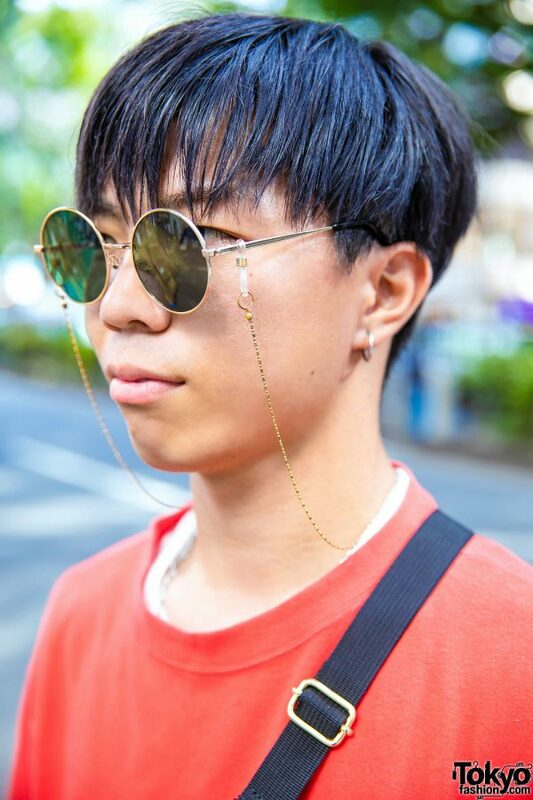 He finished off his look with a Daniel Wellington watch, hoop earrings, a chain bracelet, and round sunglasses with a gold chain. 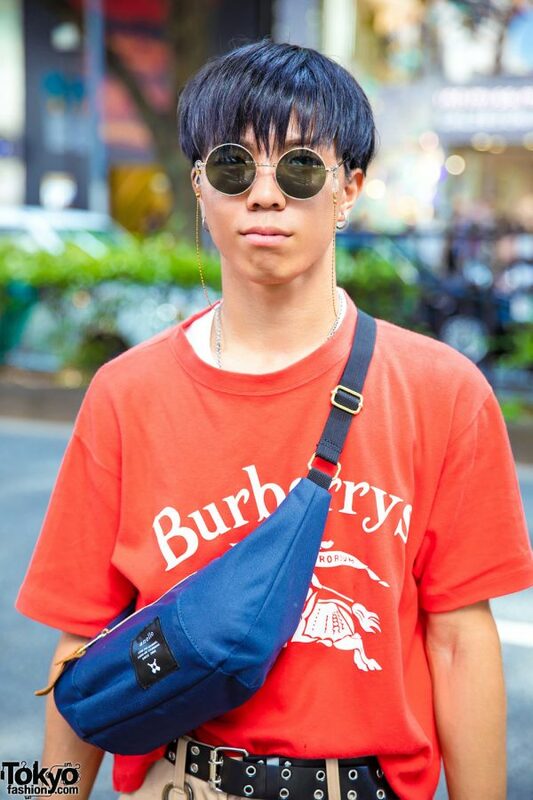 Follow Jin on Instagram and Twitter to keep up with his social media updates.